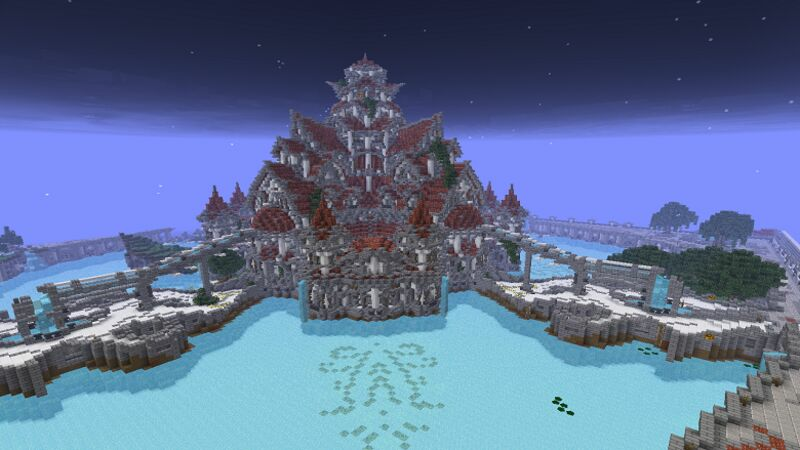 Spawn as seen from the outside. Nether, end and Moon portals can be accessed at the end of each Fork outside spawn! /Wild takes you to the survival world!